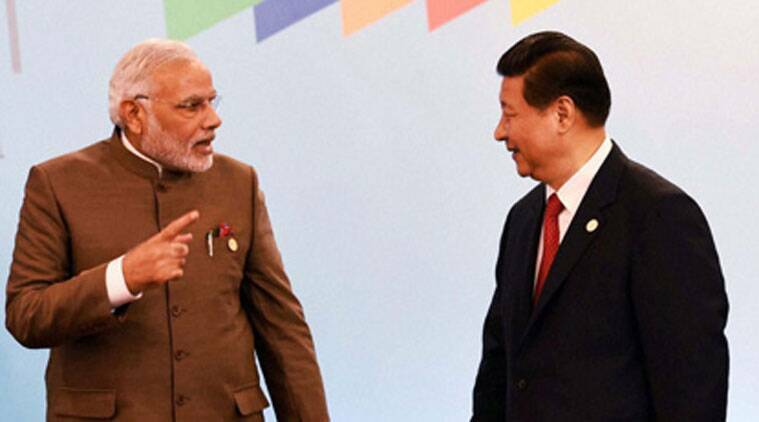 Delhi must participate in Chinese initiatives in Indian Ocean and shape the agenda. China’s decision to postpone President Xi Jinping’s visit to Pakistan has got much attention in New Delhi. But this in no way marks a major change in Beijing’s policy towards Islamabad. President Xi is likely to travel to Islamabad sooner rather than later and reaffirm the depth of Beijing’s commitment to Islamabad. Delhi, however, is in danger of missing the significance of a more important change in Xi’s itinerary for the subcontinent. Instead of Pakistan, Xi has gone to the Maldives and also keeps his original date with Sri Lanka. Thanks to its preoccupation with the defence of the contested northern frontiers with Pakistan and China, Delhi does not pay adequate attention to the emerging maritime dynamic to the south of the subcontinent. China’s interest in the island states of the Indian Ocean is relatively new and could turn out to be rather consequential. As China’s economic interests in the Indian Ocean expanded rapidly in recent decades, Beijing’s naval interest and profile in the littoral also grew steadily. Sceptics say China’s naval priority is the western Pacific, where it is locked in intensifying territorial disputes with its Asian neighbours. They note Beijing’s determination to contest America’s longstanding naval primacy on its eastern sea board. Others insist that Beijing is pursuing a two-ocean strategy rather than limiting itself to the western Pacific. Since the end of 2008, the Chinese navy has deployed its naval units on a continuous basis for anti-piracy operations in the Gulf of Aden. This has provided the Chinese navy with valuable experience in conducting “far sea operations”. Beijing sees the sea lines of communication (SLOCs), which move massive amounts of energy and mineral resources from the Middle East and Africa to China through the Indian Ocean, as vital lifelines. Securing these SLOCs has emerged as a major justification for China’s growing naval activity in the Indian Ocean. Over the last decade, Beijing has also focused on building maritime infrastructure in the Indian Ocean. Its investment in the development of new ports at Gwadar in Pakistan, Hambantota in Sri Lanka, and Kyaukphyu in Myanmar, has generated much concern in India about China’s long-term intentions in the Indian Ocean. Although these are all civilian ports for now, Delhi worries that they may portend a permanent Chinese naval presence in the Indian Ocean. Beijing has also cultivated special political relationships with key countries in the region and has stepped up its maritime diplomacy in the littoral. Xi’s predecessor, Hu Jintao, visited Seychelles and Mauritius during his tenure as president (2003-13). Now, Xi becomes the first Chinese president to visit Sri Lanka and the Maldives. Xi would certainly want to make these visits memorable. Spread across the sea lanes of the Indian Ocean, Sri Lanka, Maldives, Mauritius and Seychelles are exceptional vantage points to monitor and secure them, ensure valuable access for navies and project maritime power. In all these island states, which have long been associated with India, Chinese influence has begun to rise. Xi has elevated China’s intense outreach to the Indian Ocean island states with a new proposal for a “21st century maritime silk road” that will connect China’s coastline with critical locations in Southeast Asia, the subcontinent, the Gulf, the Mediterranean and the east coast of Africa. The Chinese president wants to develop ports across the littoral, build special export processing zones around them, and promote economic and financial interdependence with China. Xi’s invitation to Sri Lanka and the Maldives to join the “maritime silk road” has been accepted with alacrity by Colombo and Male. Xi’s visit to these two nations is likely to help China consolidate the emerging maritime partnership with Sri Lanka and lay the foundation for building one with the Maldives. India this week gives Prime Minister Narendra Modi the chance to weigh in on the issue and develop a new approach that takes into account India’s long-term economic, political and strategic interests. India can’t stop its neighbours from cooperating with China on infrastructure development at a moment when Delhi is doing exactly the same with Beijing. Instead of blocking China’s silk road initiatives in the region, Delhi must actively participate and shape the agenda. At the same time, it must leave its neighbours in no doubt that there are certain red lines regarding India’s security that can’t be transgressed in their collaboration with China on mega projects. Putting in place a strategy to modernise India’s internal connectivity and strengthen its maritime infrastructure is critical for any effective Indian response to China’s silk road initiative. Modi must also find ways to overcome one of India’s biggest weaknesses in promoting transborder corridors, which is project implementation at home and in the neighbouring countries. India needs to develop a vigorous framework for maritime economic activism in the Indian Ocean and beyond. It must include collaboration with powers like Japan who are eager to develop transfrontier corridors through the region. The question is no longer about keeping China out of the subcontinent. India must collaborate with whoever it can in reconnecting the subcontinent with itself and the neighbouring regions. The writer, a distinguished fellow at the Observer Research Foundation, is contributing editor for ‘The Indian Express’.